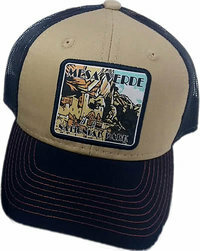 Our mesh-back trucker hat features a highly detailed patch of Cliff Palace. Cotton and polyester with adjustable back strap. 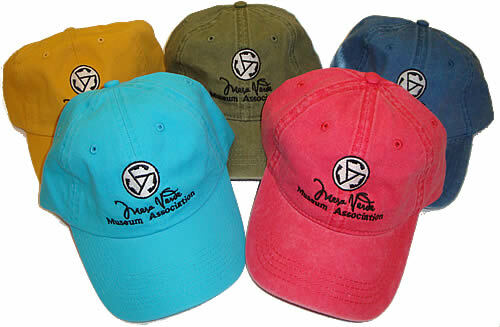 Available in orange/gray/blue and khaki/blue. 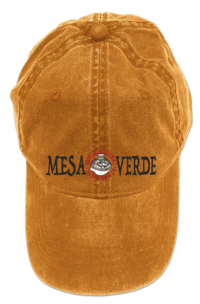 100% cotton baseball cap featuring the Mesa Verde Towers of Cliff Palace logo (the offical logo of Mesa Verde National Park). Adjustable back strap. Available in stonewashed Brown, Khaki and Red. 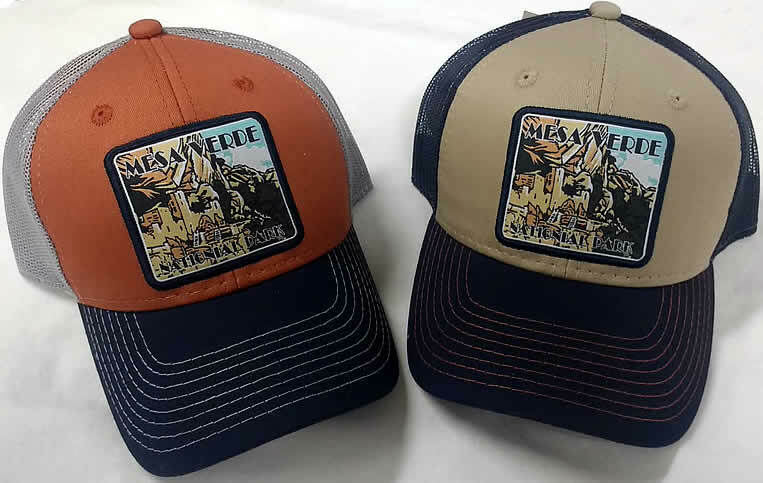 This 100% nylon, quick-drying hat is a must have for anyone spending time in the outdoors of the southwest. Mesh vents providing cooling comfort combine with a wide brim to offer sun protection at an SPF rating of 45+. Featuring a beautifully embroidered black-on-white olla.